The world number four made light work of the Korean to set up a clash of big-hitting with Nick Kyrgios. 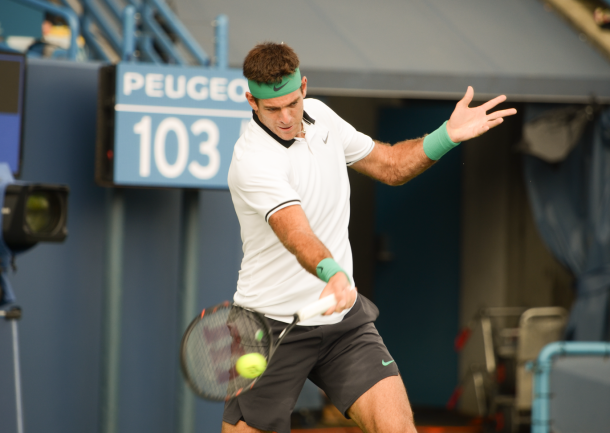 In a match that was carried over from Wednesday night, Juan Martin del Potro clashed with Hyeon Chung in the second round of the Western & Southern Open. Not only was the match delayed from Wednesday night, it had a late start Thursday due to inclement weather as well. The winner was set to play two matches in the span of a few hours as they would face off against Nick Kyrgios. Just six minutes into the first set, some precipitation came by with the Argentine deciding to take a seat because of it. The sprinkles that passed through. After a short suspension, play was resumed with the world number three holding serve to start. Del Potro had the door open early to break, getting up 0-30. 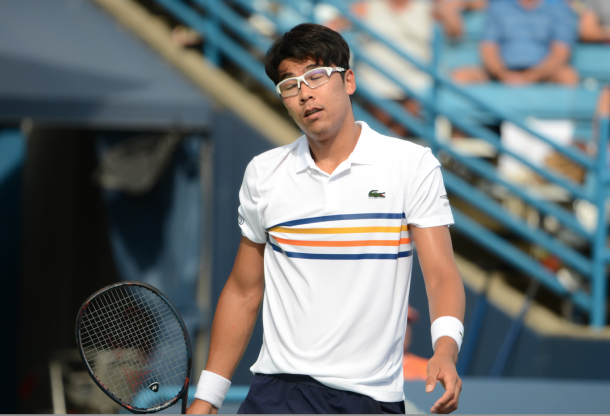 Despite getting back to 30-30, Chung knocked a forehand long to set up break point. Another long forehand conceded the early break to the Argentine. The set soon looked to be well in the hands of the world number four after breaking at 15 in the fourth game. He would go on to concede one of the breaks back in the following game, but that was just a small blip in this set as the Argentine closed out the set with a break for 6-2. 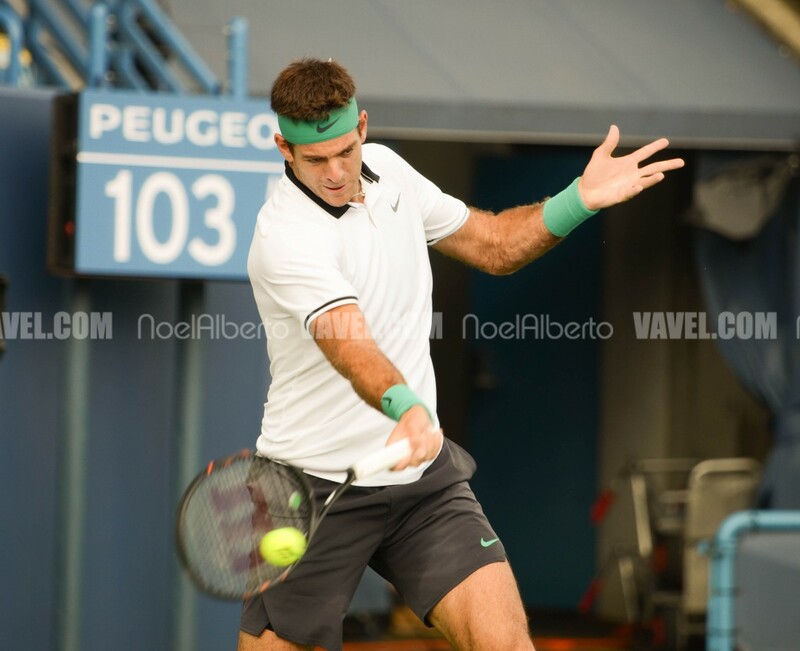 The key in this set was del Potro attacking the Chung forehand which is the weaker wing for the Korean. Chung tried to go toe-to-toe forehand-to-forehand with del Potro, who has one of the biggest forehands in tennis, but really struggled in those battles. It was a sloppy opening game from del Potro with unforced errors off the ground and capping off an opening break for Chung with a double-fault. Another long game on the Chung serve followed, and he would consolidate the break for a 2-0 lead. That lead was shortlived though with the fourth seed breaking in the fourth game after a backhand error from Chung. Another backhand error from the Korean saw del Potro break for a 4-2 lead. Despite the first serve percentage struggles for most of the match, del Potro really began to find his rhythm after going down 0-2, really putting Chung in no relaxed position on the return. Down 15-40 after going up 4-2, del Potro found a way to hold once again for a 5-2 lead. Just when it looked like the Argentine was going to cruise in his return game in order to serve for the match, that was not the case. The fourth seed came from 40-0 down to get it back to deuce, only for Chung to hold for 3-5. There were no qualms for del Potro in closing out the match, holding at love. A quick, straightforward match is exactly what the winner needed especially with a second match on the cards.